Laughter is the best medicine. It lifts moods and keeps one young. It strengthens the lungs, heart, and abs. It’s contagious in the best of ways. It ups circulation and can ease stress. It’s musical, magical, and can make friends out of strangers. It’s a bond, a link, and just plain fun. Laughter heals and is a universal sound of delight and charm. It’s one of the first languages a baby speaks, and a child’s laughter is as plentiful and joyous as it is innocent and unselfconscious. Laughter is a fountain of youth that burbles up from your lungs and throat and causes no end of delight. 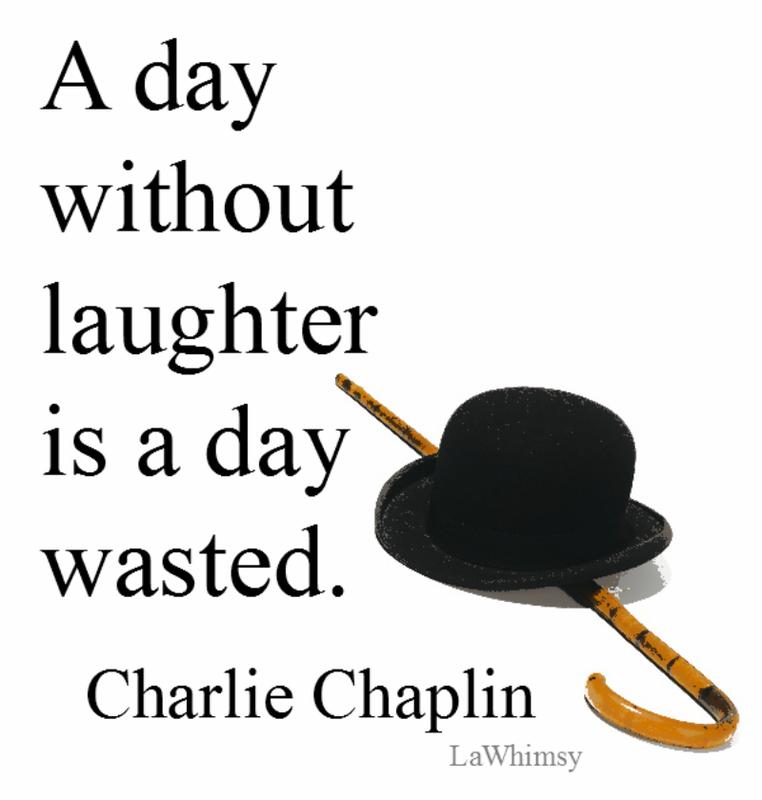 “A day without laughter is a day wasted.” – Charlie Chaplin ~ This is one of those secrets to a rich, full, and joyous life. May you laugh and share laughter today!